Area rugs offer versatility and are a cost-effective way to enhance the style of a certain room in your Alliston, ON home. Choosing the right area rugs for your home can make or break your space. 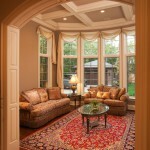 As you get ready to pick out new area rugs for your home, ask yourself the following questions. What is the overall style of your home? Area rugs come in many different styles, colours, and textures. Since there are so many options available, you should think about the furniture pieces in your home and your interior’s overall look and feel. Certain types of decor lend themselves well to a particular style of area rug, while others may work equally well with pieces from disparate styles. What colours are prevalent throughout your home? Select area rugs that can complement these colours and tie in the rest of your decorative pieces together. What furniture pieces do you have in your home? This is important when you are deciding how big you want your area rugs to be. It can also help you pick out rugs that will complement your current furnishings. How do you currently use the space? In high-traffic areas, you’ll want to put down area rugs that can withstand heavy foot traffic. In lower-traffic areas, or in more formal areas, you could go with rugs that are made out of more delicate materials. At Giant Carpet Flooring Centre, we have a wide selection of area rugs available for sale to our clients in Alliston, Ontario. If you’re ready to add a little bit of interest or flair to your home’s interior, stop by our store and check out our selection. At Giant Carpet Flooring Centre, we offer high-quality area rugs to residents of Alliston, Barrie, Angus, Newmarket, Cookstown, Innisfil, Bradford, Midland, Wasaga Beach, Collingwood, Muskoka, Gravenhurst, Bracebridge, Orillia, Thornton, Everett, and all of Simcoe County, Ontario.